One of the best parts about the region in Northwest Indiana, is how many cultures come together to create diversity along the South Shore. This is an area where not only so many different ethnicities thrive, but their traditions converge into a melting pot of deliciousness. 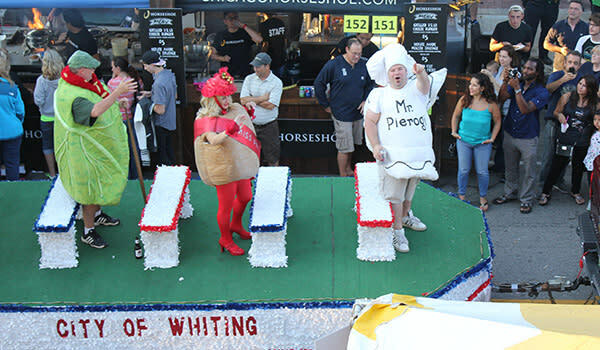 In my mind, there&apos;s no finer example of this than Whiting&apos;s annual Pierogi Fest®. Each year during the last full weekend of July, thousands gather in downtown Whiting for a spectacle of food, fun and festivities. Celebrating the rich history and varied flavors of eastern European cuisine, Pierogi Fest® offers up a wealth of fantastic flavors all lined up along the streets of Whiting. If you&apos;re looking for sauerkraut, sausages and of course, pierogi, you&apos;ll have plenty to eat and enjoy. There are all kinds of pierogi on hand, from classic flavors like cheese and potato to more exotic choices like spicy chicken chorizo, and even fruit-filled dessert pierogi. My suggestion is to spend several hours there and to try a bunch of different styles of this Polish dumpling from a variety of vendors. You&apos;re likely to find at least one (and probably more) that you just love. It&apos;s not just the great food that makes this event special. There&apos;s also a one-of-a-kind social atmosphere at Pierogi Fest®. 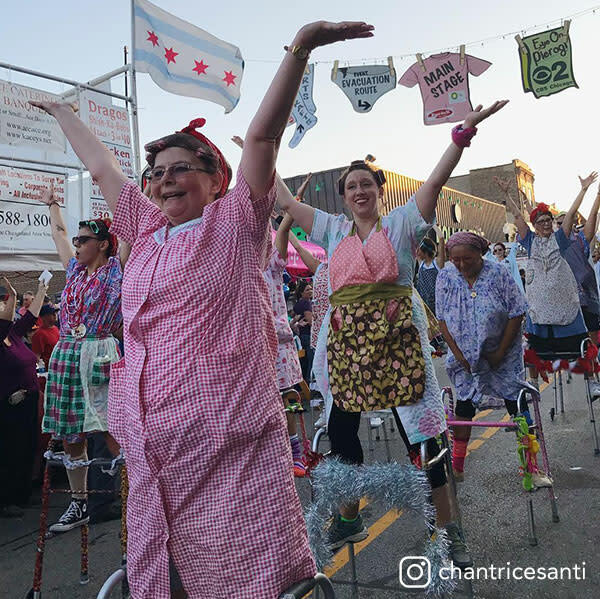 You never know who you&apos;ll run into at Pierogi Fest®, but you&apos;re bound to find a few old friends or make new ones as there are people as far as the eye can see. Everyone is friendly, welcoming and there to have a good time. With polka music and live bands playing, you&apos;ll feel like you&apos;re at the biggest party of the summer with thousands of your closest friends. On Friday, they have the annual Pierogi Parade and it&apos;s truly a sight to behold. One of the largest parades in the area, kids of all ages will enjoy seeing a cavalcade of buscias sweeping up the streets, while an entire lawnmower brigade follows behind. And no Pierogi Parade is complete without a visit from Mr. Pierogi, there to bring tidings of taste alongside Ms. Paczki and the Halupki guy! This parade is unlike any other you&apos;ll see this year. There&apos;s so much happening at Pierogi Fest®, I can&apos;t possibly mention it all here. Suffice to say, you can spend all weekend at the festival and still not manage to experience it all. That&apos;s why you need to make Pierogi Fest® a must-visit destination every year. Whether you&apos;re looking for some world-class food or just want to sample a slice of life from a different culture, Pierogi Fest® is truly something special. The city of Whiting shines during this annual tradition, and it&apos;s the one event that no summer would be complete without! Learn more about the next Pierogi Fest®.